Video poker is a casino game which is based loosely on five-card draw poker. 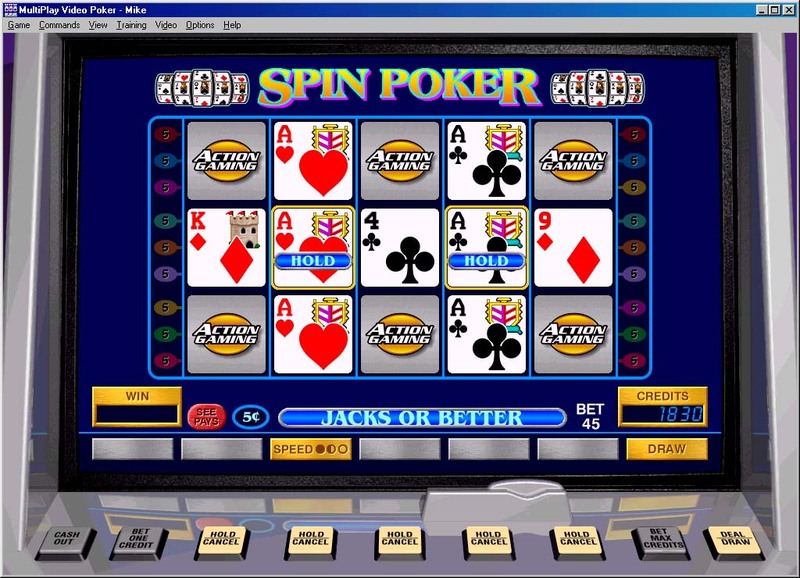 It is played on a computerized console which is a similar size to a slot machine. The video poker machine is one of the most popular gambling machines in existence today. Part poker, and part video game, it's the perfect combination to make it a modern day gambling sensation. Although today's video poker machines are the epitome of our current high tech in gambling, they have existed in simpler form for about two hundred years. 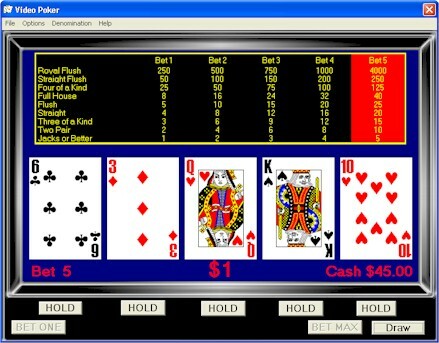 Video poker is of course based on the card game of poker. The video poker machine of today is the result of the game of poker being manifested into different types of games at varying levels of technology through the generations. The game of poker has been played in America since the early 1880s, with the game being referred to as ‘Poker' in 1834 by a man name Jonathan Green. In 1901, Charles Fey made the next big improvement to the poker machine by adding the first ‘draw' feature to the already wildly popular machine. Fey's addition to the poker machine allowed the player to actually use their poker skills in the game, as opposed to being left to the mercy of blind luck. Charles Fey's improvement allowed the player to hold certain drums still after the first spin, while pulling the handle to spin the remaining drums. This in effect was the first ‘hold' and ‘draw' combination. Over the following years, people's interest in poker card machines diminished, with only an occasional hiccup of interest every now and again. It wasn't until the late 1970s that the poker machine was reborn into the video poker machine, thus rekindling the love of video poker. The first century of coin operated game devices ended in 1990 with animated video poker machines becoming one of the hottest sensations of modern-day casinos.